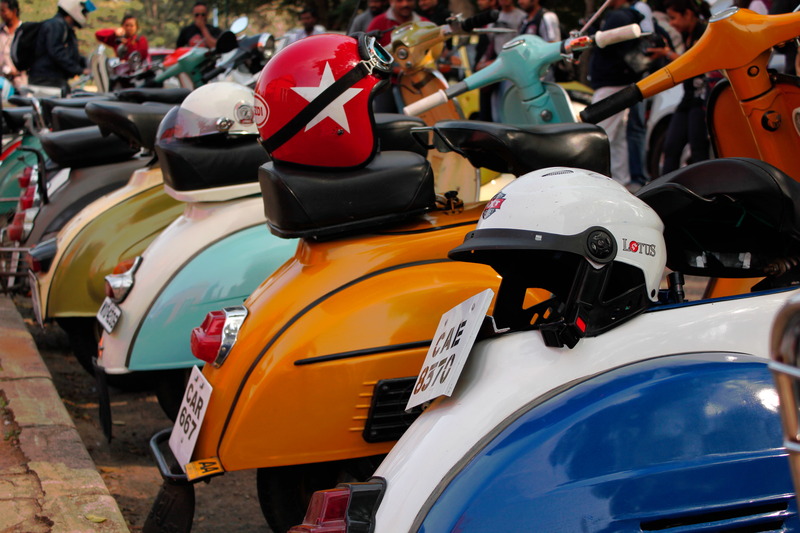 A Small group of Vintage Scooter enthusiasts and a larger group of photographers converged on Cubbon Park, Bangalore. The retro colors on these bikes rock! Oh, great different colors, fantastic! !